As a Jew who cares about Israel’s well-being and as someone who often makes his voice heard, I often ask myself what is it that I can say that we have not already heard or read. I have a lot of company in my concerns and fears and by no means think there are things that I know that make me better informed than so many out there. All I can offer that is significantly different is how I feel and my personal perspective on events taking place. As many of you know, I am the son of Holocaust survivors. There are those who would consider that irrelevant to current events. I wish it was the case, but unfortunately with the attitude and goal of Islamic extremists, it is sadly and dangerously relevant. Hatred, persecution, anti-Semitism are things that generally don’t take the same form when repeated in different eras, but the sentiment is never all that different. Jews are hated with passion by a people and many of these people wish us death. I believe myself to be an optimist by nature and try to look at what is going on in the world and specifically Israel in an optimistic way. The best I can come up with is the hope that a strong Israeli military at least temporarily disables the enemy. The problem however is that now the enemy has gone from being more than a nation or even a group. The enemy has become an ideology. The ruling forces have ingeniously taken the people’s suffering and hopelessness and turned it into a fanatical hatred towards the Jews and the western world. This is no longer about Israel. 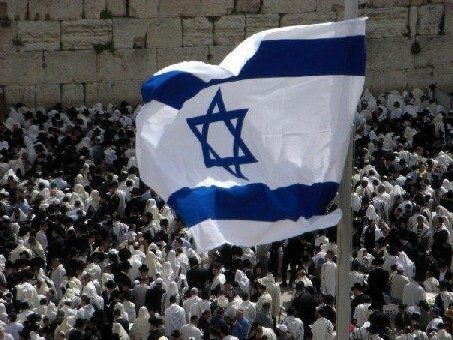 Israel is vitally important, not only to Jews but to people who love freedom all over the world. But this threat goes way beyond Israel and disputes over land. This is hatred for Jews and holds dangers similar to other times in our history. As Jews we’ve seen those who hate us deceive us in order to catch us by surprise. The Nazis never said the Jews were going to Concentration Camps to be murdered. They were being “relocated”. Jewish traitors who helped the Nazis, thinking that they would be spared and even treated well, met the same fate of those they betrayed. Even when arriving at camps with gas chambers the victims were never told the truth about the enemies intentions. But let’s be real here. Anyone capable of murder will have no problem with lying. I am a citizen of the world. As corny as it sounds, I want to love everyone. However, the hearts and minds of such a large percentage of the Muslim populist has been so poisoned by hate that feeling love and caring for these people would be tantamount to suicide. At best we can attempt patience and understanding, not to be nice but to maybe plant the seed of reason in a dangerously large percentage of the planet lacking this reason. Unfortunately it is unlikely this would even work because the corrupt and evil leaders of these people will do anything to stop optimism and hope, including killing their own in large numbers and certainly mercilessly attacking as many Jews as possible. It has been said by so many in the past that as long as Israel exists, “Never Again” will be more than a hollow cry. Israel’s strength protects Jews worldwide. In my lifetime Israel has never been more important to the survival of the Jewish people as it is today, not just in Israel but worldwide, because it has never been more clear that the difference between anti-Zionism and anti-Semitism is comparable to the difference between “relocating” and murder in the gas chambers. And remember, this was written by an optimist. This entry was posted on Wednesday, November 14th, 2012 at 6:09 pm	and tagged with anti-Semitism, Holocaust, Islamic, Islamic extremists, Israel, Israel's, Israeli, Jew, Jews, Muslim, Nazis and posted in Uncategorized. You can follow any responses to this entry through the RSS 2.0 feed.